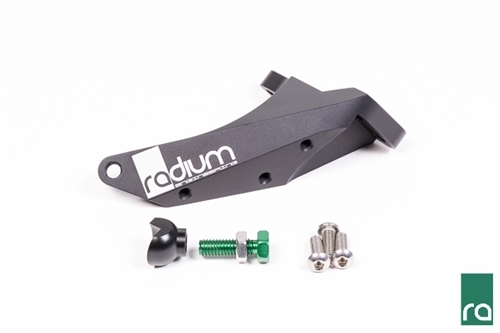 This Radium Engineering master cylinder brace is compatible with the left hand drive (LHD) 2015+ Subaru WRX, 2015+ Subaru WRX STi, and 2014+ Forester XT. 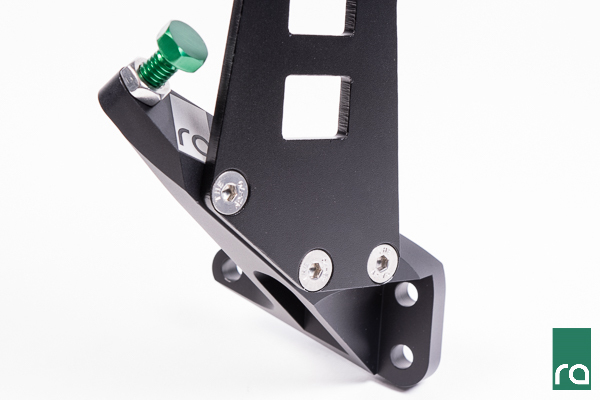 The 6061 billet aluminum brace reduces firewall flex for a more positive pedal feel. It mounts to pre-existing threaded holes in the engine bay and requires no permanent vehicle modification. 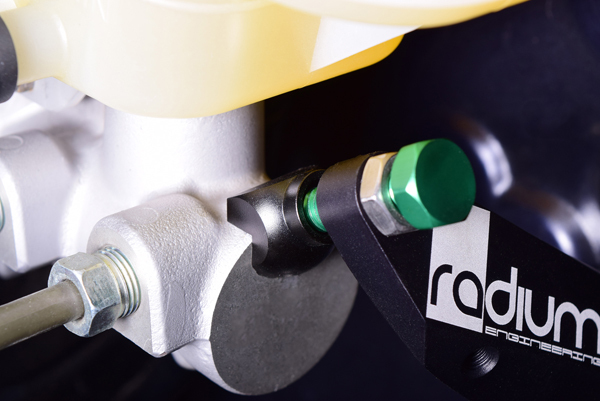 Because the master cylinder flexes in an arcuate path, a specially designed CNC machined foot contacts the master cylinder to counteract the arc movement. Preload is adjusted with the anodized aluminum green bolt then locked in place with the stainless steel jam nut. Installation is simple and takes less than 30 minutes. 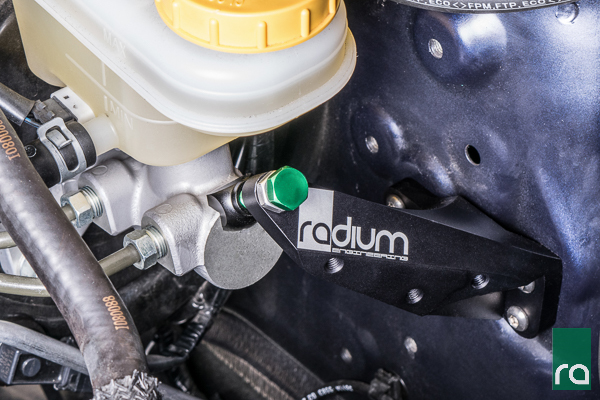 This master cylinder brace also provides the mounting location for this Radium Air/Oil Separator Kit.